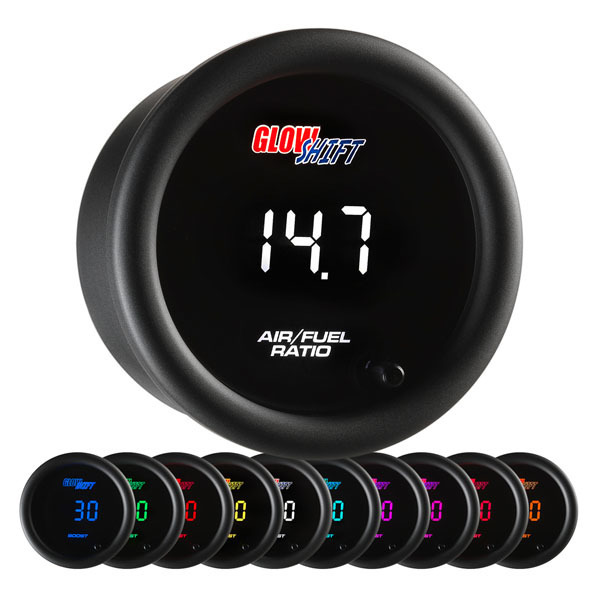 GlowShift’s 10 Color Digital Series Narrowband Air/Fuel Gauge is electronically driven and reads your vehicle’s air/fuel mixture from 10.0 to 20.0 AFR to help determine if you are running a lean, optimal or rich mixture. An Air/Fuel Ratio gauge is important for any vehicle because it monitors and displays the air/fuel mixture, which could result in reduced emissions and better fuel economy with optimal readings. This air to fuel ratio gauge includes a 2’ power harness that simply installs into the factory narrowband sensor, gauge visor and mounting hardware for a complete installation. Each 2 1/16” (52mm) 10 Color Digital Gauge features a flat gauge face with a digital numerical readout for quick glance gauge readings. 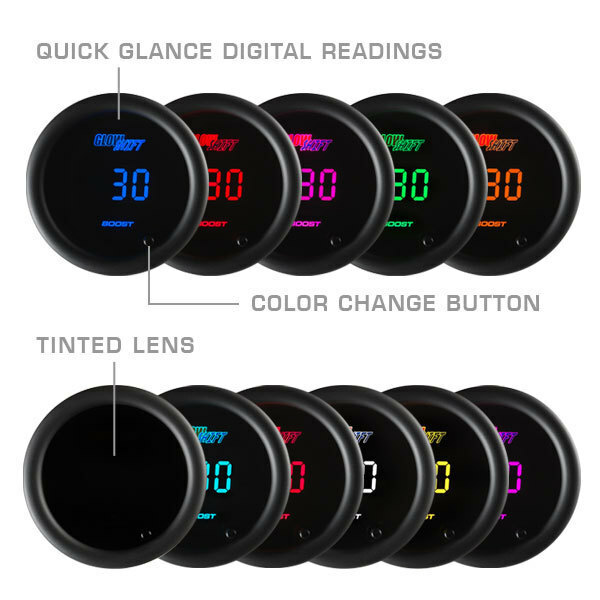 The digital gauge offers 10 different color options that include blue, green, red, yellow, white, teal, purple, pink, amber and orange. After the color orange, there are 2 additional modes that include the 10 color cycle and 10 color fade mode that utilize all of the featured colors. At startup, a self-calibration mode ensures that the gauge is performing optimally. Each gauge features an ultra-thin design with a depth of 1.32” and an LED display that measures at 1.05” x 0.43”. For an easier viewing experience while driving at night, connect the orange wire to the headlight switch source to allow the gauge to dim 50% when the headlights are on. 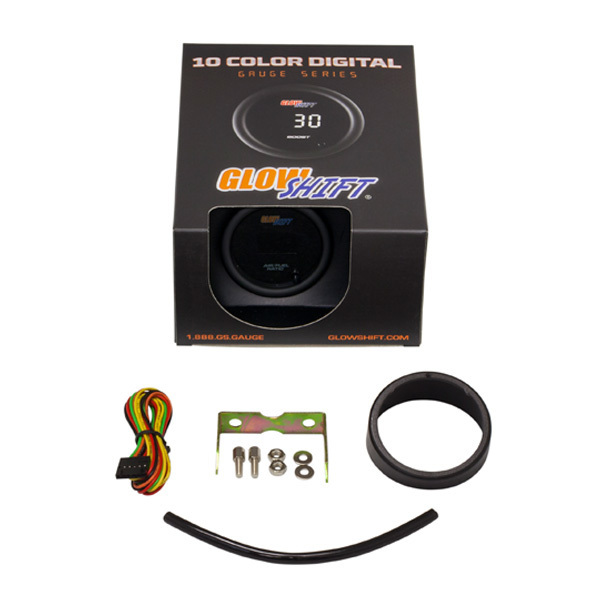 GlowShift stands behind each product by including installation instructions, a one year limited warranty and free lifetime technical support.